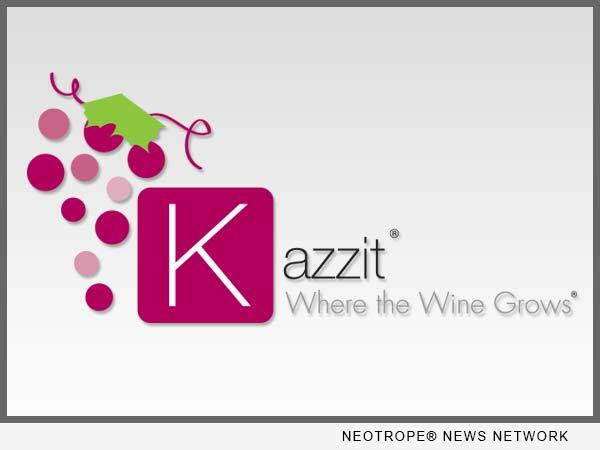 SAN FRANCISCO, Calif. /California Newswire/ — Kazzit, the wine industry’s most all-inclusive online community, today announced the launch of a new, redesigned version of its website, www.kazzit.com. Still 100 percent free to consumers, key features of the site include a sleeker, more attractive design, a more engaging user experience with enhanced search and navigation, and a new mobile app. Kazzit is the brainchild of Phoenix restaurateur Peter Kasperski and serial entrepreneur Babak Motamedi, who founded the website in February 2014 after the two wine-loving friends grew frustrated at the lack of comprehensive travel planning sites specifically built for wine tourism. In 2015, the United States alone saw over 30 million travelers, or 17 percent of American leisure travelers, engaged in culinary or wine-related activities in the first decade of the 21st century, resulting in $3 billion spent on wine-related purchases while in wine country – a huge tourism segment that had been heretofore ignored. Clearly, Kasperski and Motamedi were on to something. Since its soft-launch two years ago, Kazzit now has a database of nearly 10,000 wineries (over 9,000 more than its closest competitor) across the United States, Canada, Australia, New Zealand, South Africa, the UK, and Ireland, and will reach 50,000 unique users this month (adding 600+ per day on average). With its 92/100 Google experience ranking, wine lovers and industry insiders alike are drawn to Kazzit for its ease of use, online reservation system, detailed winery information and reviews, and educational blog, which is updated almost daily. View blog: http://kazzit.com/wine-blog/. Since 2014, the average organic visitor to Kazzit spends over 5 minutes and 18 seconds on the site (58 seconds is the general average for most sites), with a return rate of 30-40 percent. These return users spend an impressive 11.5 minutes on average on return visits, clicking an average of 8.6 pages deep reading about wineries (a huge number by any digital marketing standard). With some of the most dynamic search capability out there, consumers can use Kazzit to seek out specific wineries, discover new ones based on region or preferences (ie. wineries that specialize in specific varieties or styles), and also to find the perfect winery setting for events like weddings, corporate retreats, educational seminars and even baby showers. This micro-level of personalization to consumer search demand has positioned Kazzit as a leader in wine consumer data – a benefit that Kazzit’s winery partners are beginning to capitalize on at a B2B level. Aside from the user reviews, Kazzit’s elastic, open-ended search capabilities have unlocked an unprecedented amount of data that partner wineries can access; for example, the trendiest wine style in the month of September, the most popular types of winery events in the Finger Lakes, the demographic most likely to seek out white wine in winter, or the most searched wine region overall (hint: it’s not Napa). Co-founder Motamedi has plans to publish some of this data in a future quarterly industry report. Beyond wineries, the wine trade has noticed Kazzit as well, with distributors and suppliers increasingly turning to the site’s sleek layout when calling on their vendors to pitch a portfolio. In an unintended side-effect of Kazzit’s straightforward, one-page layout of winery search results, wine salespeople no longer need to wade through ‘evocative’ labyrinthine winery websites for critical information, with their long, (sometimes musical) page-loads and unintuitive layout. Kazzit instead pulls into its database all the relevant data that busy trade and consumers most want to access and puts it all in one place (without the music). The upcoming launch of Kazzit’s new mobile app will help enable more spontaneous searching on-the-go, with an enhanced zip-code function that displays the closest wineries to a user’s current location, along with the review and reservation features as well as local winery events for opportunistic (or on the go) planners. Wineries can also now capitalize, publishing timely deals directly to the platform and utilizing Kazzit as a marketing partner arm to help attract potential customers nearby. With its leadership position in the wine industry already staked, Kazzit sought to take the site’s educational component to the next level, enlisting the expertise of internationally renowned Master Sommelier, Laura Williamson, MS, CWE, hiring her to its executive team in February 2015. Before Williamson attained it in 2005, only 12 women had held the expert credential of Master Sommelier (MS) – the highest in the industry. She has since directed wine programs at three star Michelin restaurants while managing the (sommelier favorite) Terry Theise portfolio on a national scale, all the while remaining a highly-sought educator and speaker at international wine conferences. With Williamson’s impressive credentials, Kazzit has plans to roll out a “Somm Content Engine” in 2017, which will have curated, personalized features to help even the most seasoned wine experts and lovers plan their next wine vacation. Kazzit stands out as the world’s most comprehensive online winery resource. Kazzit serves as the ultimate all-inclusive online community, connecting wineries, vineyards, restaurateurs, collectors, sales people and enthusiasts, and helping them share services, products, experiences and consumer applications. Kazzit helps wineries connect with both trade and consumers by providing comprehensive winery profiles, winery ratings, photo galleries, maps, real-time social media updates, upcoming winery events and a means to book wine tastings and plan wine trips all in one place. The name Kazzit pays tribute to the friendship between founders Babak Motamedi & Peter Kasperski, which had its genesis at Kazimierz Wine Bar near what would become Kazzit’s headquarters in Scottsdale, Arizona.